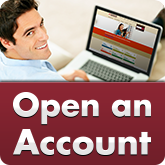 Mission Fed Online Banking is open day and night so you can bank online on your schedule. It’s easy to access, even when you’re away from San Diego. 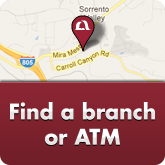 If you have Online Banking with Mission Fed, your account is as close as the nearest mobile device, PC or laptop. Whether you want to open an account online, access important documents, take a look at your saved budget, review your Mission Rewards points or check out Special Offers just for you, our Online Banking platform allows you to access your information whenever and wherever you need it. Start enjoying everything your credit union account offers and enroll now. 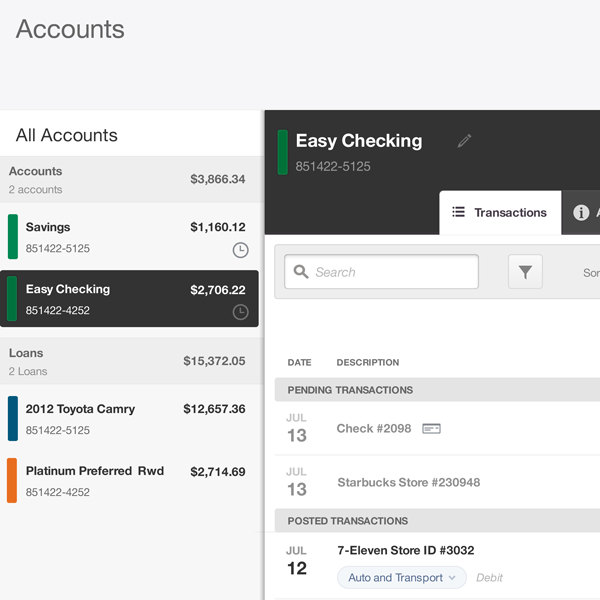 Quickly see your balances, transactions and account details. Speedily search through your transactions. Online Banking - Searching and Filtering video on YouTube - Description: The speaker is a Mission Federal Credit Union employee and is standing in a Mission Fed branch. Throughout the entire video, they address the camera directly. Please use the YouTube captions functionality to access an alternative to the audio portion of the video. 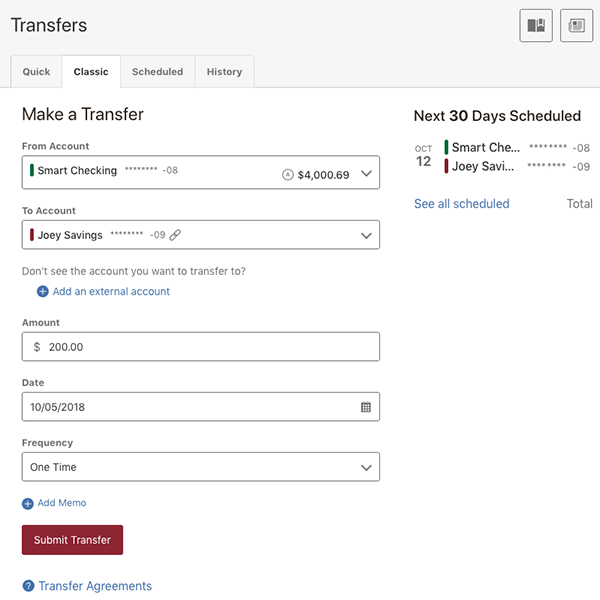 Move money between accounts with just a few clicks. Want to move money to or from an external account via ACH transfer? 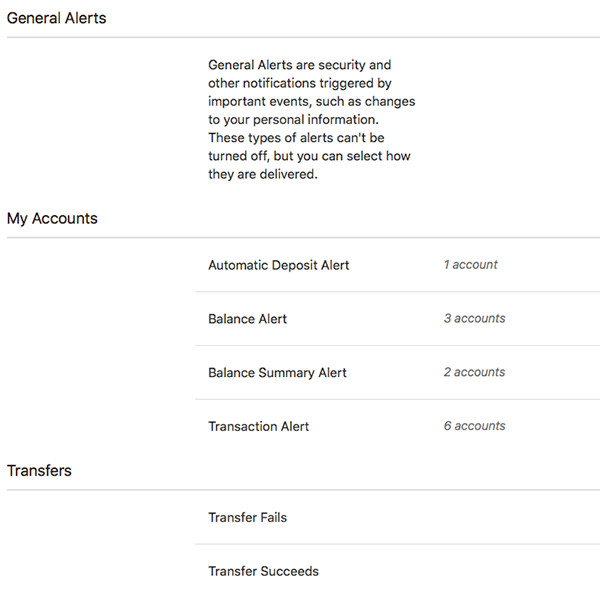 Select “Add an external account” from the Transfers screen in Online Banking, and add the account and routing numbers from the other institution. After a day or two, look for two small deposits in the external account at the other institution. 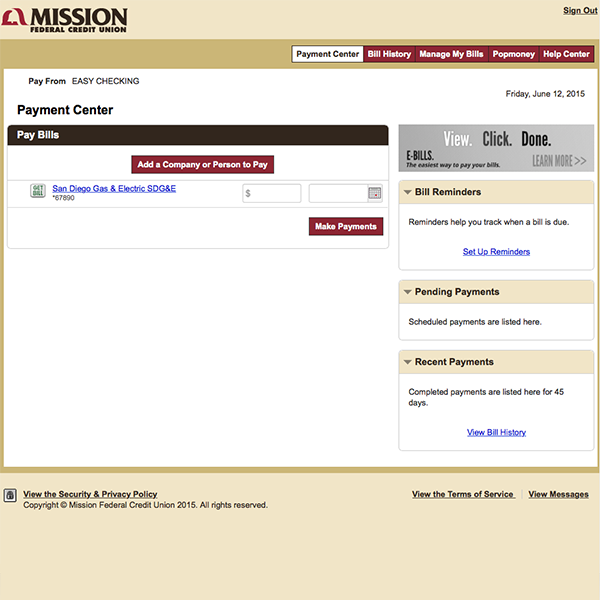 Log back into Mission Fed's Online Banking and go to Settings and then click on the Accounts tab, scroll down to the list of external accounts at the bottom and click the “Confirm” button to confirm the deposit amounts. Then, you're ready to make your first external transfer. Get more security and control with Online Banking than with putting a check in the mail. 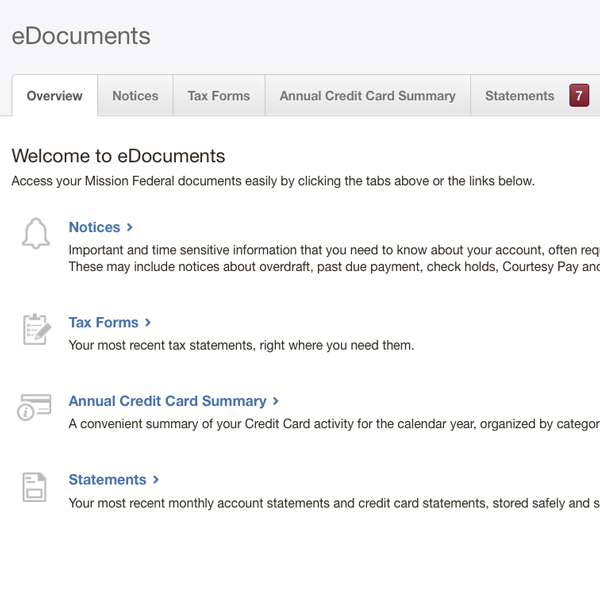 Fast, secure access to your statements, notices, tax forms and annual Credit Card summary while saving paper. Convenient email or text messages so you can stay on top of account activity. Change your address, email or phone numbers, stop payment on a check, order new checks and change your username and password. Online Banking - Customization video on YouTube - Description: The speaker is a Mission Federal Credit Union employee and is standing in a Mission Fed branch. Throughout the entire video, they address the camera directly. Please use the YouTube captions functionality to access an alternative to the audio portion of the video. Check and redeem your points at any time. 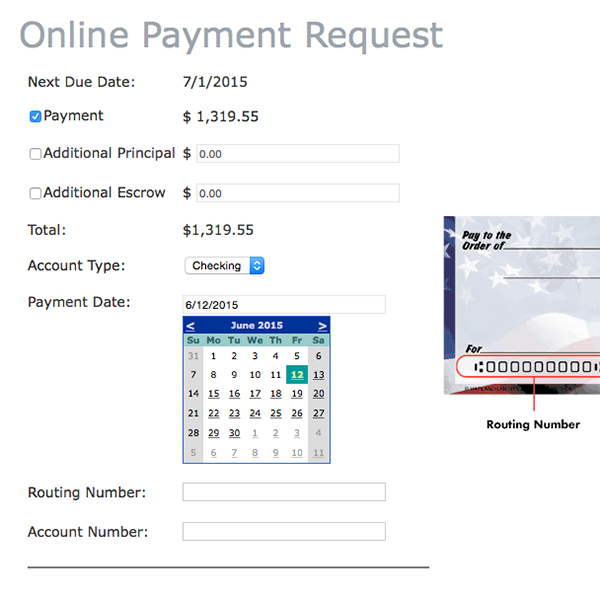 Access your First Trust Deed or Second Trust Deed Mortgage online and set up one-time or recurring payments. Make it easy to track your spending and saving. Online Banking - Savings Goals video on YouTube - Description: The speaker is a Mission Federal Credit Union employee and is standing in a Mission Fed branch. Throughout the entire video, they address the camera directly. Please use the YouTube captions functionality to access an alternative to the audio portion of the video. Let us know when you have travel plans so that we can put a note on your Debit Card and/or Credit Card to help make sure you have card access while you’re out of town. Online Banking - Travel Notes video on YouTube - Description: The speaker is a Mission Federal Credit Union employee and is standing in a Mission Fed branch. Throughout the entire video, they address the camera directly. Please use the YouTube captions functionality to access an alternative to the audio portion of the video. Online Banking allows you to take care of your banking needs on your time—no business hours required. Since you no longer have to find time in the workday to run to and from a branch, Online Banking not only saves time, it can save you money, too. Most of your financial needs can be accomplished through our Online Banking platform, from transferring money between online accounts to managing Mission Fed Loans. We’ve made our system user friendly, so you can get things done quickly and efficiently. 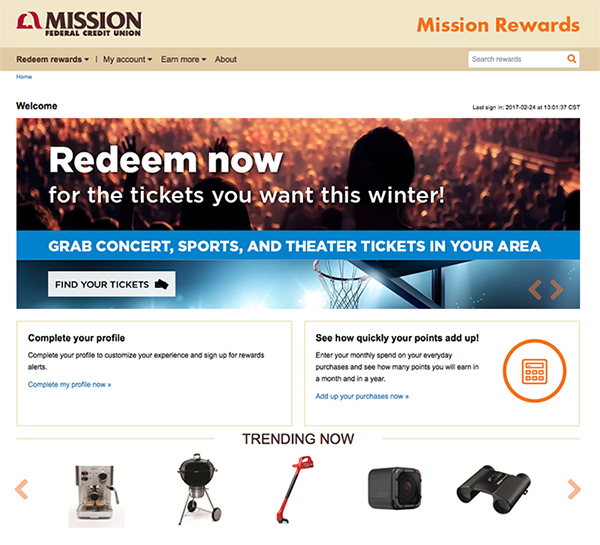 We’ve also added in features that can help you save money and spend wisely, with options like savings goals, budgeting features and the ability to redeem your Mission Rewards points. And, you'll be able to take advantage of Special Offers like pre-approvals right from within your Online Banking session. Keeping member information secure is paramount, so you can bank online with Mission Fed with confidence. 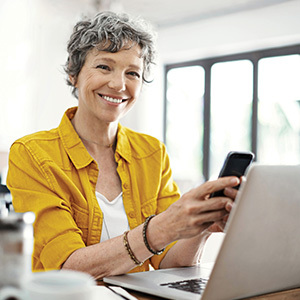 Sign up for Online Banking with Mission Fed and enjoy the convenience and security that come with being able to bank online on your time and your schedule, no matter where you are. 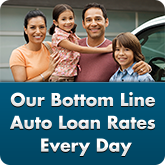 If you have any questions, stop by a branch, use WebChat or give us a call 800.500.6328. Your success is our bottom line, and we look forward to serving you. 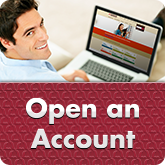 Already a member and want to enroll in Online Banking? Looking for the Online Banking login? With your Mission Fed Debit Card or Credit Card, you can turn your phone into a mobile wallet that allows you to make purchases at many stores and within apps without having to fuss with cards or cash. Learn about the features of the Mission Fed Mobile Banking app and how to install it on your device. Learn all about the great features of the Mission Fed Mobile Banking app and what you need to do to install it on your device. 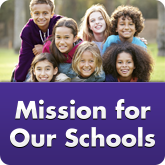 At Mission Fed, serving our members is the reason we were founded, and we are proud to continue that tradition every day.